Alan Howarth - Halloween 4: The Return Of Michael Myers. Vinyl LP. Bleep. 2018 is a big one for the 1978 movie Halloween. 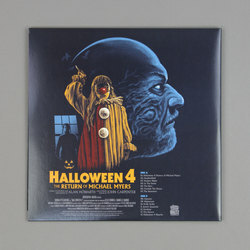 Not only does the classic horror flick turn forty this year, we also have a remake on the way. 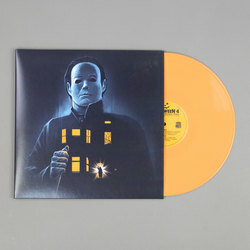 With interest in John Carpenter’s series peaking again, Death Waltz Recording Company are getting in on the act by reissuing a bespoke vinyl edition of Alan Howarth’s score for the fourth Halloween movie. 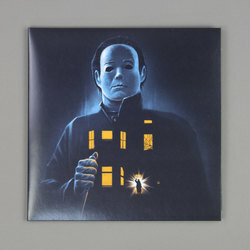 Halloween 4: The Return Of Michael Myers was the first film in the series Howarth scored without the assistance of Carpenter. He takes to the task with relish, updating Carpenter’s famous original while providing new themes for Michael and Jamie. 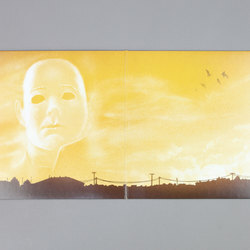 Death Waltz have come through with a lush package here - the new artwork from Gary Pullin is particularly impressive.